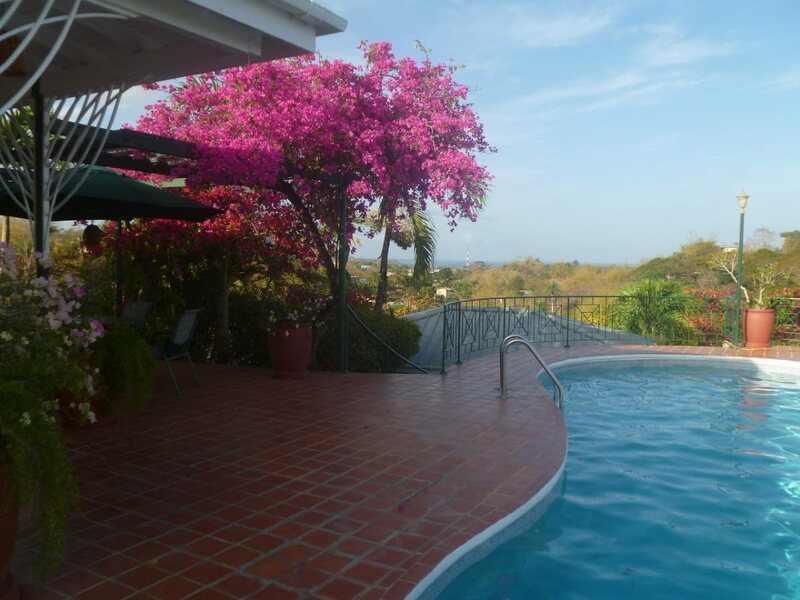 Poolside at the Top o Tobago, a resort with art and birds everywhere. ON an island like Tobago, everyone wants to watch the sea; and it’s just as easy from a place high up. Pat Ganase looks at Tobago from the top; and gathers some interesting facts about living on the island. 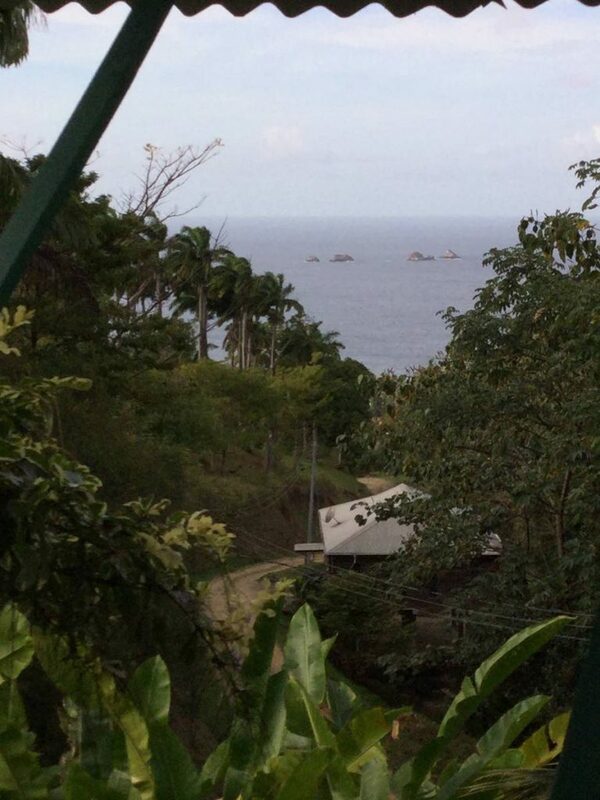 My friend’s mission was to spend two days in Tobago to see if she could find a place to relocate her studio. She is an artist and a potter. Her business in Trinidad has dwindled to the point where she now teaches her art to earn a living. The maintenance of house and garden at her current studio is beyond what she can earn from teaching and selling a few pots. One of the first stops brought us to the home of a Trinidadian couple who retired and relocated to Tobago over ten years ago. “Everything is easily available here,” she told us. The utilities are reliable; health facilities are accessible. Plus there is a social life that suits her retirement: she has joined a choir and a yoga class, and plays bridge; he golfs and sails. The home is made for entertaining with large outdoor-indoor spaces. We set out early the next day to L’Anse Fourmi. 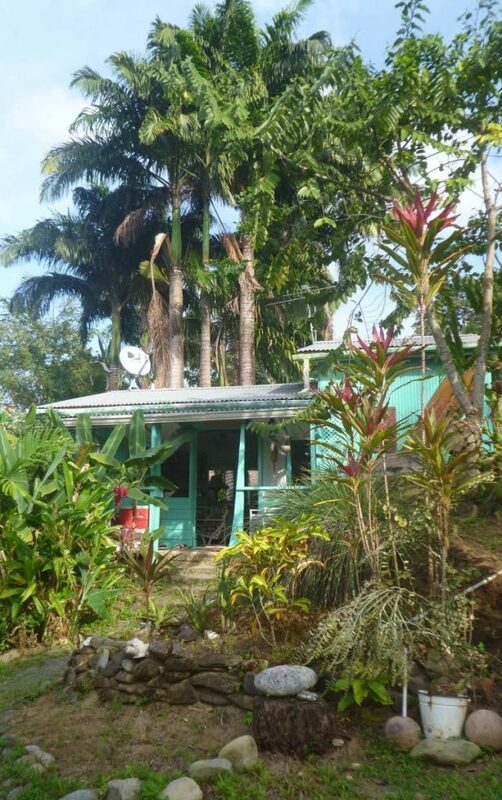 Another recently retired Trini couple built their dream house on a ridge with a view of the Sisters islets. Even with stops at the photo points along the series of sublime Tobago beaches – Castara, Englishman’s and Parlatuvier – the journey from Plymouth takes a pleasurable hour and a half. The roads through Les Coteaux, Golden Lane, Moriah and Runnemede have been newly resurfaced; with skilful and careful driving, it’s easy to negotiate the winding uphill bends. From Les Coteaux to Culloden, you see how a drier dry season coupled with removal of trees and quarrying creates a wasteland. The undulating hills (les coteaux) seem parched beyond repair. Past Moriah, however, the influence of the Main Ridge Forest Reserve is obvious. It was indeed wisdom and foresight that conserved the ridge for the protection of rainfall. The air is cool and you feel the forest's breath as you rise above Parlatuvier onto the road that continues across the ridge. The following morning, a knowledgeable and empathetic real estate agent invited us to Moriah to see a property that was being offered for sale because the occupants who bought and built their dream retirement home in the days when foreigners were encouraged to acquire property in Tobago have not managed to secure resident status. The well-built home is on the crest of yet another ridge with views across other ochre hills, is going for a song. The occupants, from the UK, have grown tired of following up their application for permanent residency. It is too late in their lives, they believe, to be living with the insecurity of asking the Immigration Department for extensions of their stay every three months, or leaving for another island in order to come back to Tobago. It seems a shame, and unfair, that an inducement and a promise made over a decade ago has not been fulfilled. The story is the same in a few cases: these people who came and invested in Tobago are moving to cash out, reluctant to be roughed up by an immigration process that is xenophobic and alienating in communities of their friends and neighbours. Some with investments and businesses leave every three months, and return hoping to have their status regularized. On the last day, we visit the Luise Kimme museum (luisekimme.com). The Cuban artist Dunieski Lora Pileta is curator of the museum, and continues to enhance the Kimme collection with bronze casts of her work in wood. The challenges of obtaining metals for casting now force him to consider other materials for his own work. A walk on the beach turned a light bulb on. 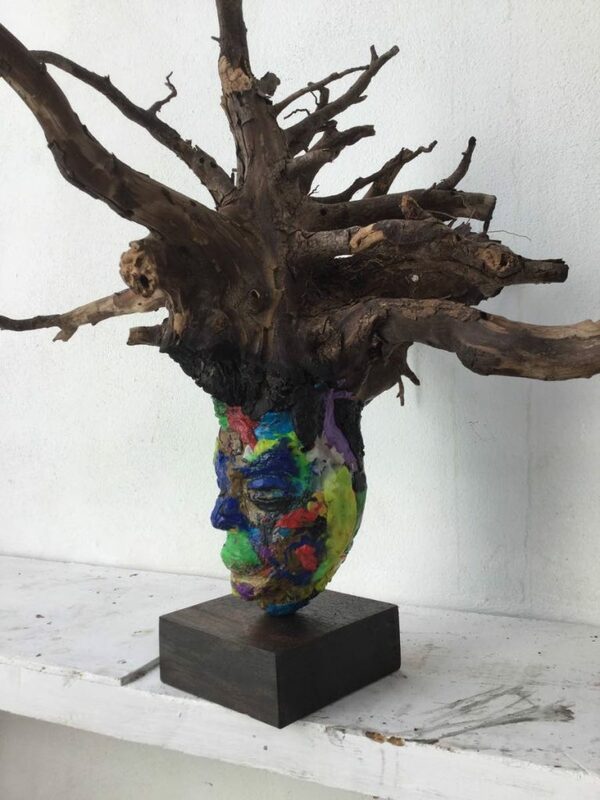 He is experimenting with flexible coloured plastic; and now considering an entire collection from found objects: driftwood and forest debris, in combination with plastic garbage. Artists are here to show us the way to be innovative with resources and imagine a better life. A move to Tobago – still pristine and natural – could have double advantages: to invigorate an artist’s spirit and bring the benefits of a different industry to Tobago. Reply to "Finding a place in Tobago"